MainAll NewsRadioWill the 'New Right' represent the Anglo-Saxon public in Israel? Will the 'New Right' represent the Anglo-Saxon public in Israel? On today's Israel Uncensored with Josh Hasten, an interview with Jeremy Saltan, Knesset insider and Anglo Forum Chairman for the New Right. 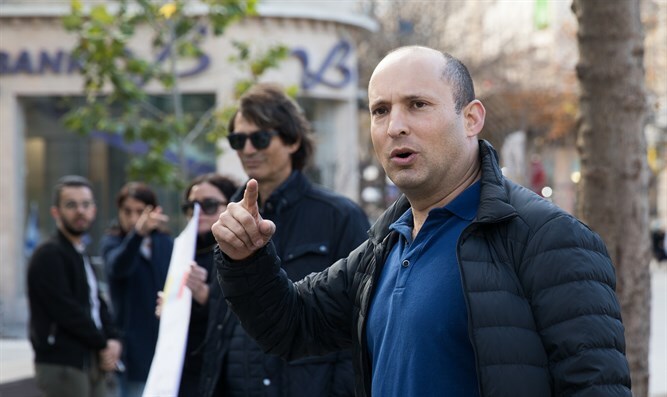 Josh Hasten interviews Jeremy Saltan, Knesset insider and Anglo Forum Chairman for the “HaYamin HeHadash,” or the “New Right” Party, led by Minister Naftali Bennett. Saltan provides insight on what his new party stands for, and tells he is confident that Prime Minister Netanyahu will once again be Israel’s Prime Minster and is hopeful that Minister Bennett will be Israel’s new Minister of Defense following the Knesset elections.